The country is reportedly struggling to achieve its goal of nationwide electrification. Cambodia is lagging behind its target to achieve nationwide electrification by 2020, the head of the country’s electricity regulator warned Tuesday. Ty Norin, chairman of the Electricity Authority of Cambodia (EAC), said that achieving the goal of providing electricity nationwide in five years was already proving an arduous task given the fact that the government could only invest around $400 or $500 million of the almost $1 billion in funding needed. As a result, assistance from other actors including the private sector, would be essential. Yet the 337 companies licensed to build distribution channels to reach villages in Cambodia have yet to fulfill their stated obligations thus far, Norin revealed at an event according to The Phnom Penh Post. Electricity had only reached 66 percent of villagers as of 2015, a far cry from at least 96 percent that was expected by the end of 2015. “Some license holders have not fulfilled their obligations to build the network as required by the conditions of their license,” Norin said. Speaking at the same event, Cambodia’s energy and mines minister Suy Sem stressed that license holders must fulfil their obligations or the government will be forced to find replacements for them. “We cannot delay the implementation of the government plan, as under the license conditions the holder must have enough capital for investment,” he said. Sem’s comments come weeks before the government is set to introduce a round of energy cost reductions for some Cambodians effective March. He said that if private actors are unable to sell electricity at new rates, the government was prepared to compensate them for their losses if a valid case could be made using a rural electrification fund. According to The Post, statistics released yesterday revealed that Cambodia consumed 1,985 megawatts of electricity in 2015, of which 1,569 megawatts was locally produced. 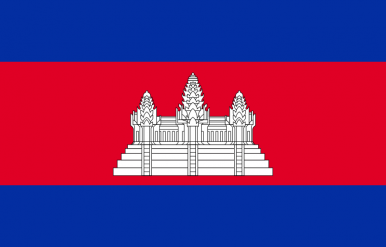 Cambodia also imported energy from Thailand (135.5 megawatts), Vietnam (277 megawatts) and Laos (4 megawatts).